It is the strangest thing; each new trend is completely different from the one that has gone before. Monochrome always follows big, bold bursts of colour; sleek minimalism always follows from ornate detailing and collectables; and so too with the latest trend: free-flowing boho chic follows grown-up modernism. 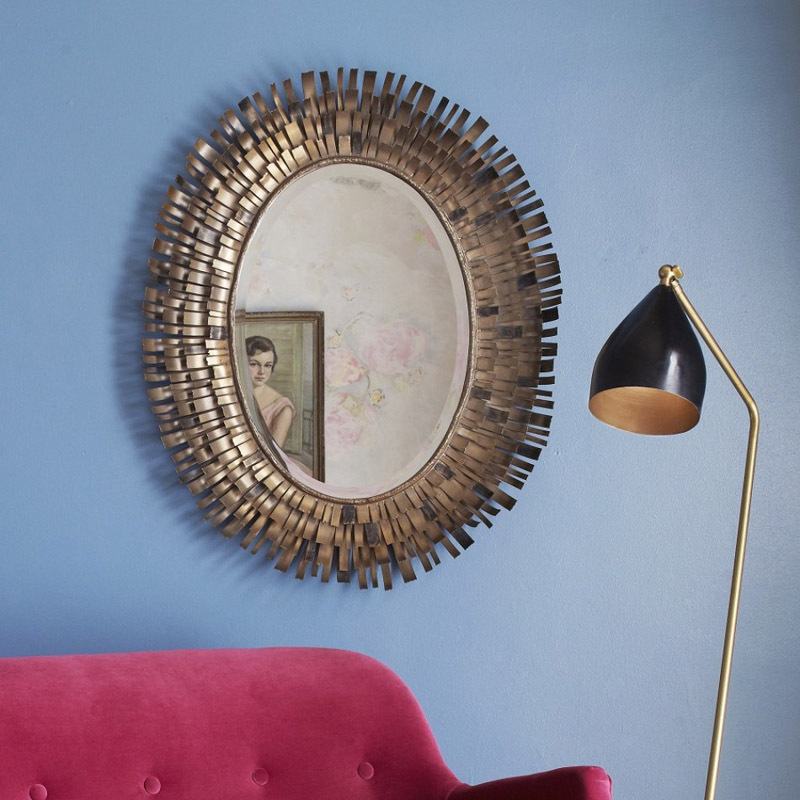 Fringes and frills soften hard edges and straight lines, whether it’s a funky ‘70s feel or a touch of romance, they bring a bit of fun to an interior. Here’s our guide on how to do the trend… without overdoing it. Thanks to the nation’s love affair with period drama, our whimsy with the likes of Downton Abbey has left us pining after dignified and refined interiors. This Laura Ashley Eve bed linen is perfect for whiling away in on a weekend morning, imagining you are being served breakfast in bed. This trend’s boho twist is all about softening straight lines and loosening formality, so The Linen Works tableware is perfect. 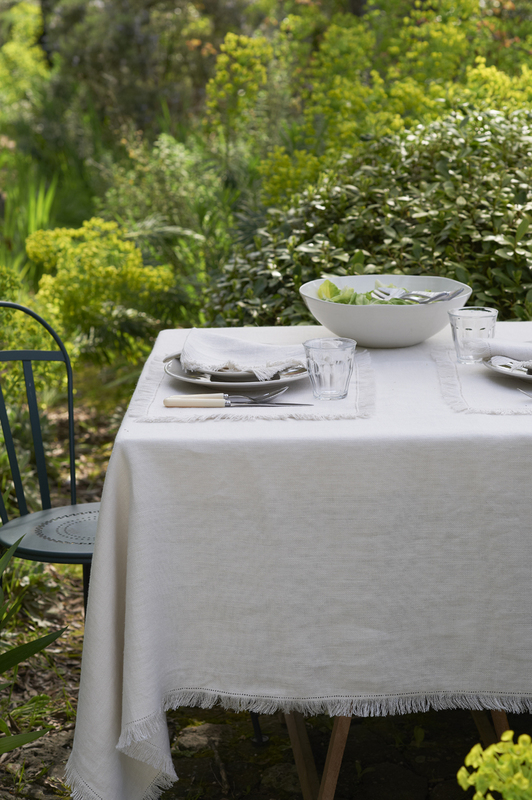 Quality, thick linen has a gloriously tactile and rustic vibe that suggests unpretentious fine dining with the best fresh ingredients. Confident mixing and matching patterns from around the world is a key boho look and the Designers Guild does this with aplomb. 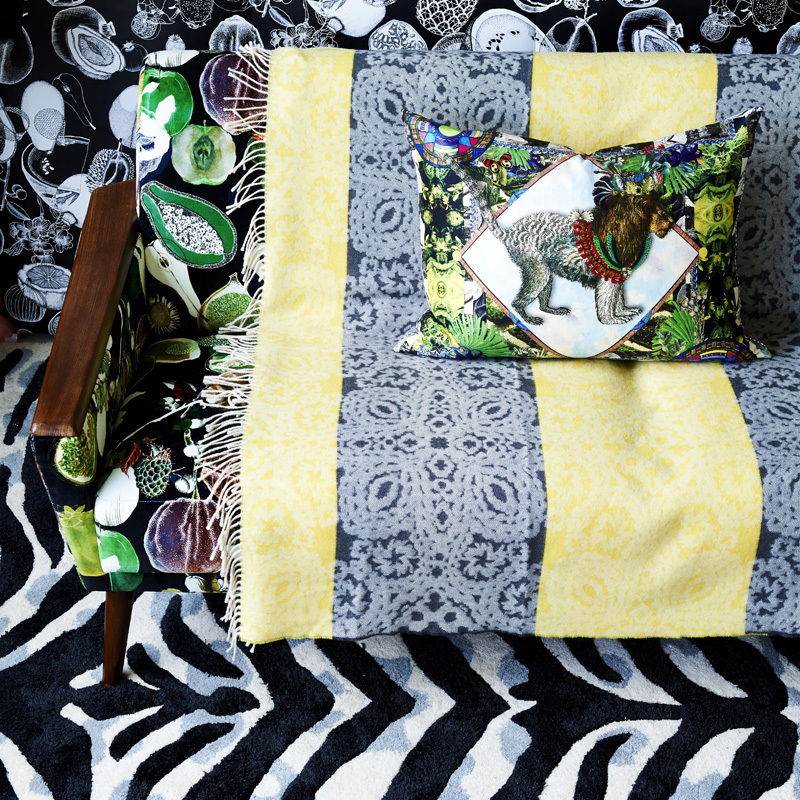 Its fringed quilts and throws simply beg to be overlaid to create a cosy living room as the weather turns cold. Fringes and frills needn’t be the preserve of soft furnishings. 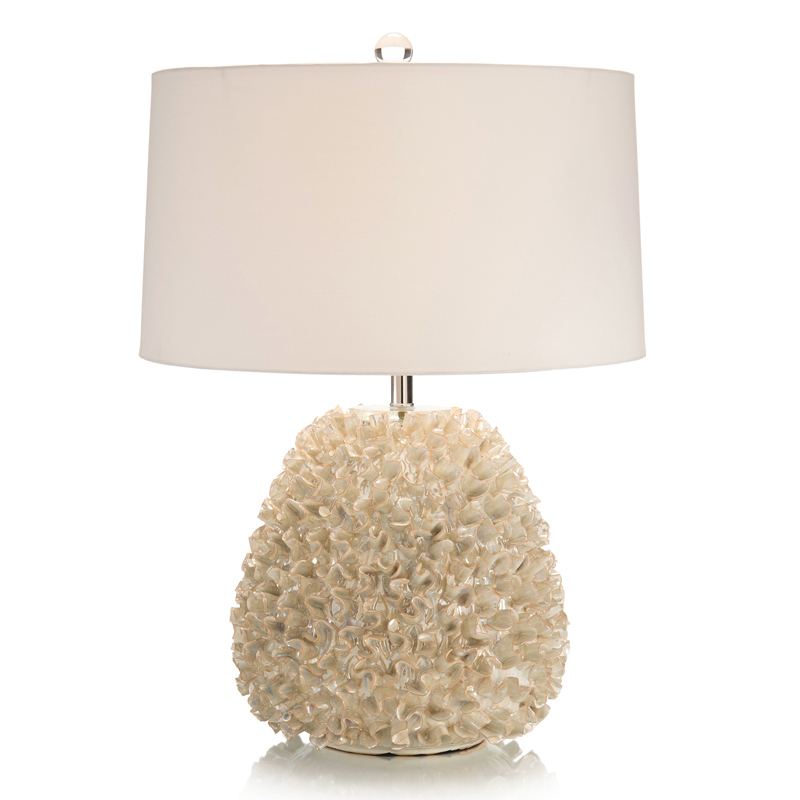 Frontgate’s fringed lamp has a pearlescent quality and looks as though it is a magnificent piece of coral. Rest assured, it is manmade ceramic and not stolen from the sea. No autumn refresh would be complete without warm soft furnishings. Esprit’s woven wool rugs are a subtle way to bring bold colours into the scheme. This off- white rug has a clever weave so the strong colours appear as faint stripes until they reach the fringe where they burst into life. 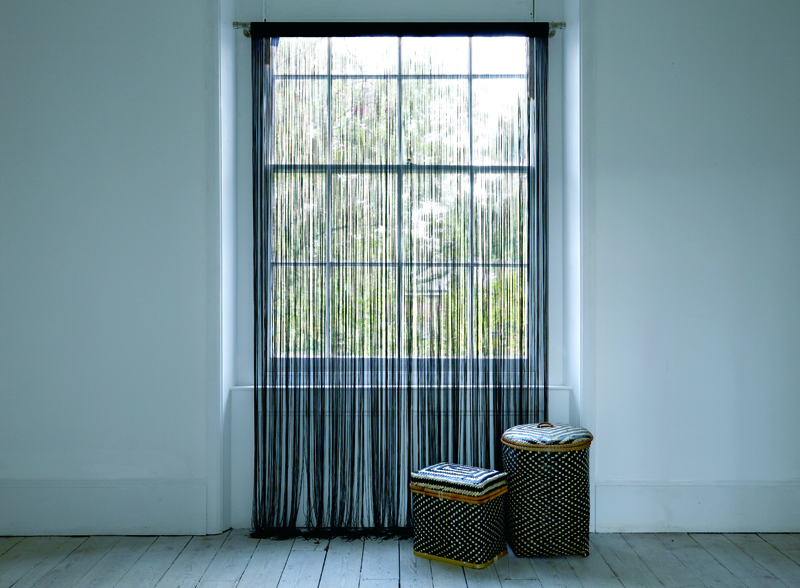 Banish all memory of ‘70s bead curtains across doorways and embrace Habitat’s monochrome fringe curtain. It can be used to filter light as a window dressing or create an informal room divider and not a bead in sight. Pretty country florals take on a serene beauty once the seasons change. 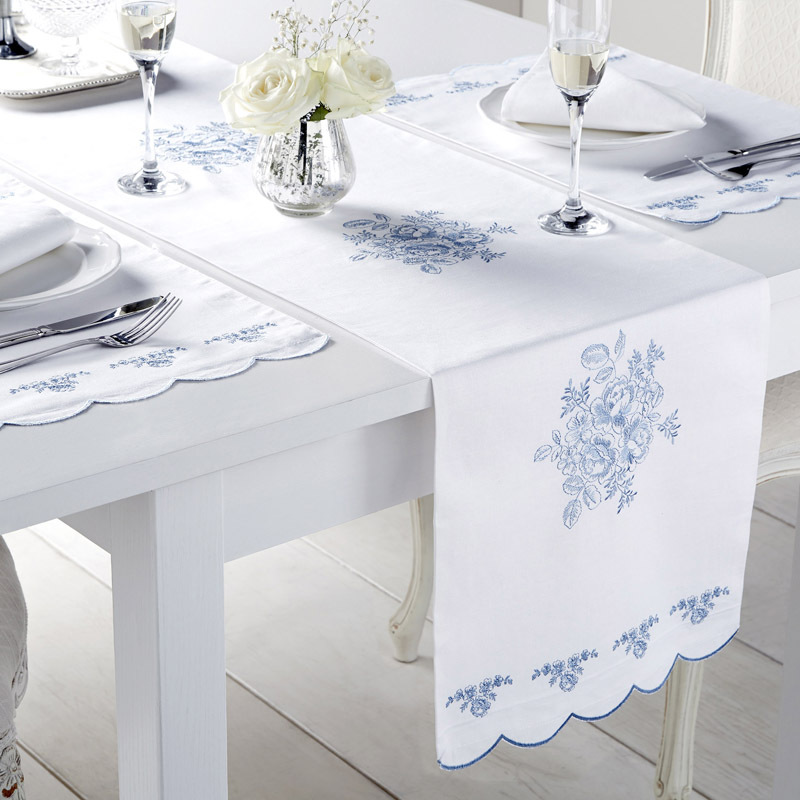 Chateau Bleu place settings and table runners from Dunelm are great for pared-back elegance and the scalloped edges stop them from looking austere. This collection’s fringe mirror looks equally at home surrounded by patterns and sumptuous throws as it does in a minimal scheme with sleek individual pieces. It brings a touch of sophisticated sparkle to any room. This trend is great fun but it’s a fine line to walk getting it right. Fringes, frills, tassels and fray can look shabby if paired with too much of the same and twee if paired with other detailed furnishings. Get the trend right, contact our interior design team who will be happy to help.